Random Noodling: Ekphrastic April, Day 30: "The Bedtime Book"
Ekphrastic April, Day 30: "The Bedtime Book"
cherita prompt: making your plans 5, 10 and 20 yr plans! I didn't post the cherita, but decided to use it here instead. 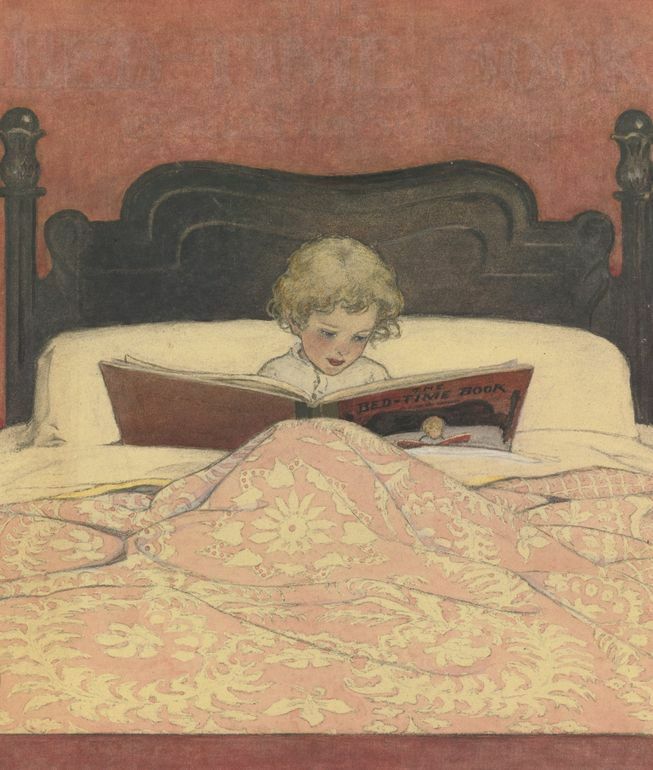 "The Bedtime Book" (1907) by Jessie Willcox Smith [1863-1935]. Jessie Willcox was an outstanding illustrator whose output for books and magazines is dizzying. She created all the covers for Good Housekeeping magazine from December 1917 to 1933! I hope you enjoyed Ekphrastic April and National Poetry Month 2018. I will be posting more ekphrastic cherita in the future since it is great fun for me to research works of art and write what each piece inspires in me. Have a great May! If you live in the greater Boston area, poetry continues this coming weekend with The Mass Poetry Festival taking place in Salem. This will be my eighth year attending! I remember Jessie Wilcox Smith, and her sweet and nostalgic work. This is a lovely end, a plan for many. Congratulations for the beautiful cheritas all month, Diane. And Happy May Day! Thanks, Linda. There's a kind of haze over Jessie Wilcox Smith's work that is sort of like one's memory--sweet, but maybe not exactly as it happened.